These no egg pancakes appeared in a very roundabout away. We love pancakes, and always have (in fact, these bad boys helped launch the site). Recently, we’ve been asked more and more for ‘no egg’ pancakes. Not necessarily vegan like these, but just ‘no egg’ pancakes. Whether there’s a slight trend of eschewing eggs, people looking for something new, or simply having run out of eggs and looking for alternatives, we know a challenge when we see one. And we were up for it! These no egg pancakes took a whole lot of trial and error, and they’re all the better for it. That, and we got to eat loooooooads of pancakes while we were practising! When making pancakes without egg, you need to find a new way to make the pancakes rise. A big part of our experimentation was testing the types of baking powder and soda to see which gave the best results. 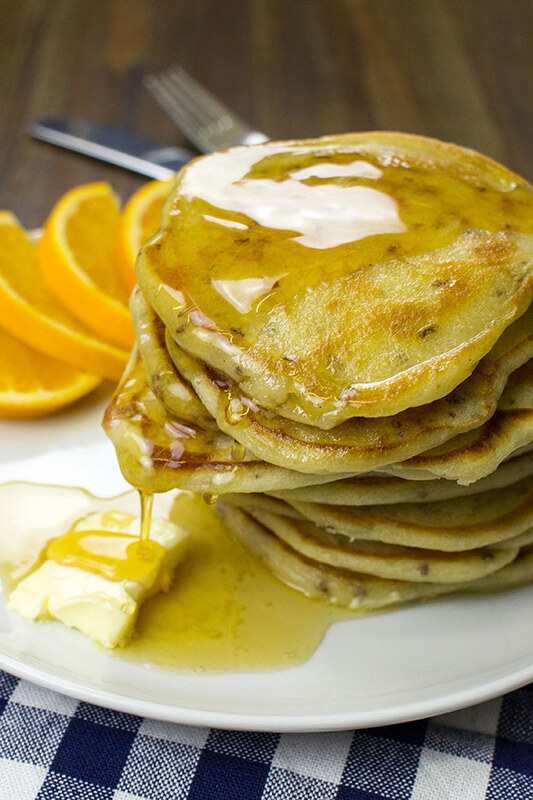 Sally (link to her page here) explains the differences in full detail – if you’re just interested in the results then the conclusion is this: the best buttermilk pancakes are made with a little of each. If you’re in a pinch and only have baking powder to hand you’ll be pleased to hear you can use that alone, too – you’ll just need slightly more. We threw some flax seeds in as well – we love the consistency! They’re also mega healthy and full of omega-3s, so if you have them – add them! If you don’t, no need to panic. Your pancakes will still be lovely without them. Half of the fun of pancakes is choosing your own toppings. With everything from cottage cheese to maple syrup, we’ve tried most of what’s out there. Buttermilk pancakes do have a slight tang to them (due to the buttermilk itself), and we found fruity/sweet combos go really nicely. Our particular favourite turned out to be maple syrup and fresh orange (as you can see from the pictures) though honestly they went well with almost everything. Chocolate and banana deserves an honourable mention, as does peanut butter and jam (jelly). Ok, I’m ready! 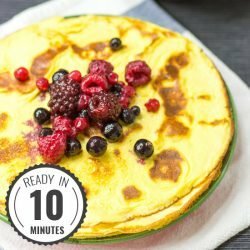 Any final no egg pancake tips? 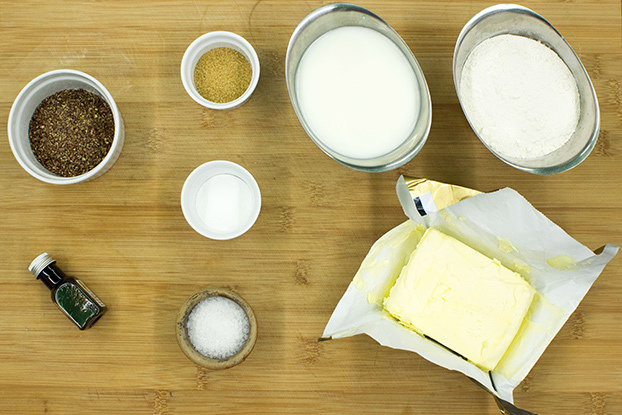 When you mix the ingredients together it doesn’t need to be perfectly smooth. In fact thick, slightly lumpy batter works best! Small pancakes work much better than bigger ones. Not only do they cook more evenly, they’re easier to handle and flip, too. 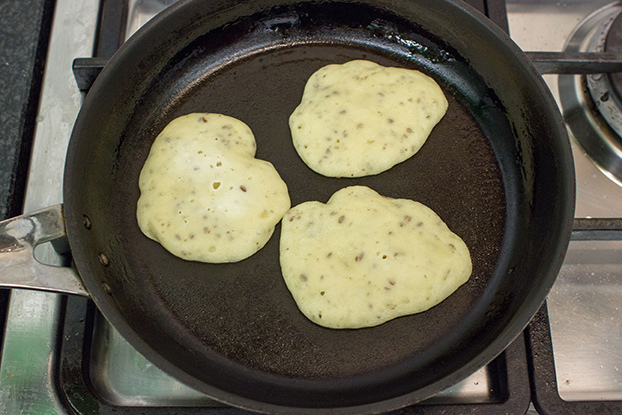 Talking of flipping – cook each pancake on one side for about three-four minutes. After lots of little bubbles have formed, flip! The other side should only take about two minutes. Use a medium heat on the stove – too high and they’ll burn, too low and they’ll take aaaages. Alternatively use a pancake or waffle machine. If you have an oil spray, use that. If you don’t, use a tissue/kitchen paper to wipe the oil around so everything is covered in a thin coat. That’s it! 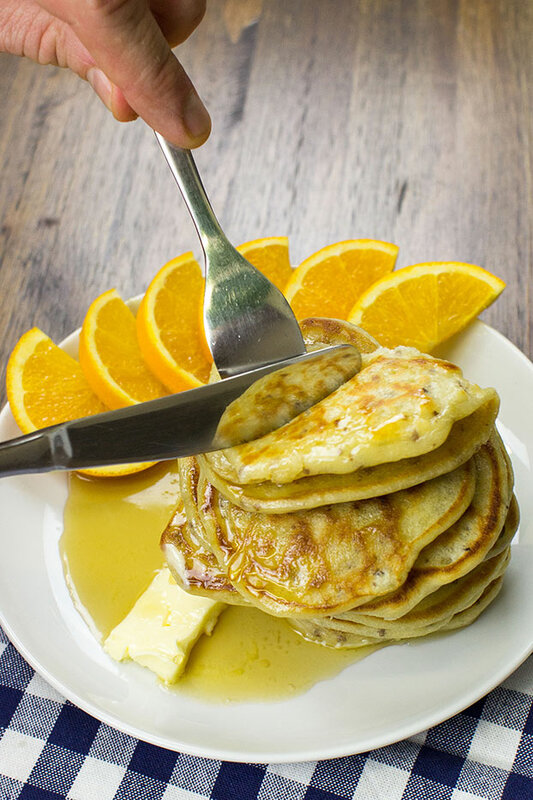 Follow these tips and you’ll be making world-beating buttermilk, no egg pancakes in minutes. 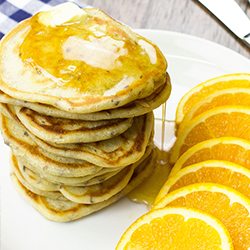 These no egg pancakes are easy, light and fluffy. 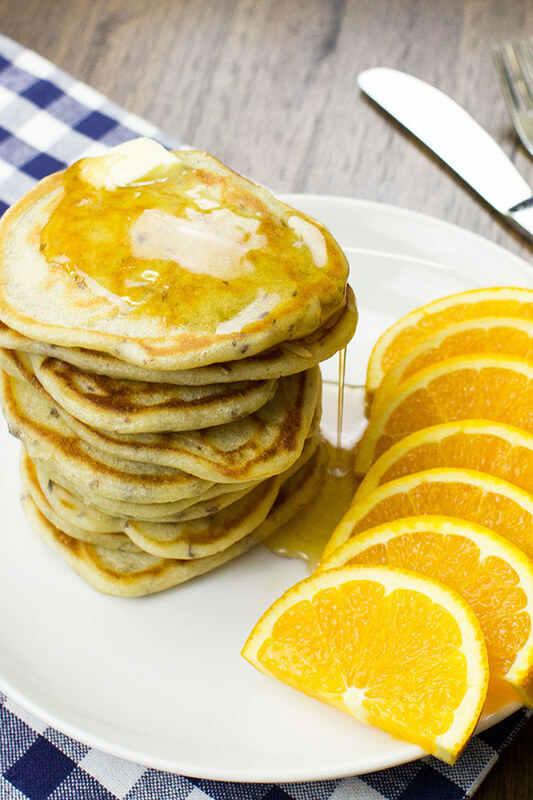 Perfect for savoury or sweet toppings, look no further if you need pancakes without egg! 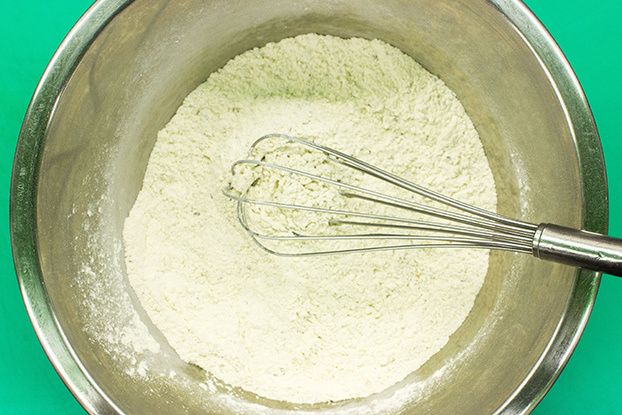 Whisk together the flour, sugar, baking powder, baking soda and salt in a mixing bowl. 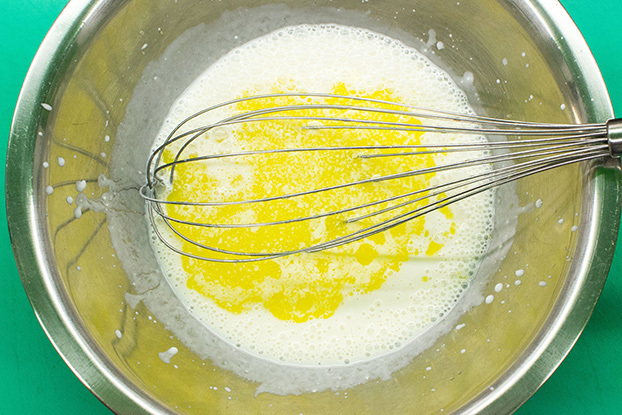 In a separate bowl, whisk together the buttermilk, butter, and vanilla. 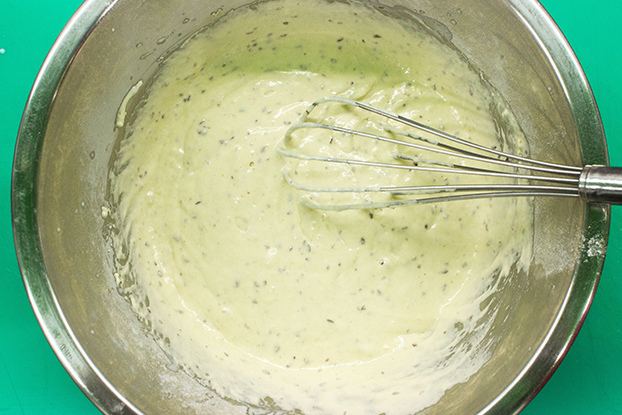 Make a well in the center of the dry ingredients, pour in the wet mixture in and gently stir everything together. 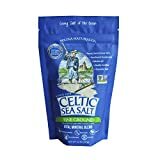 Add the flaxseed if using. Don’t go overboard and mash it all together. Everything should be wet but still a bit lumpy. Preheat a pan to on medium heat. Wipe some oil over the surface of the pan, or use spray-on oil. Alternatively, use a waffle or pancake machine. Dollop in 1.5 tbsp per each pancake. Cook for 3-4 minutes, until small bubbles have formed. Flip, and cook for another 2 minutes or so. Done! Original recipe inspired by BBC Vegetarian Christmas Magazine 2017. We have sooooo many pancakes! 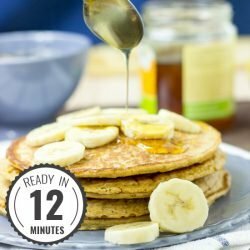 Go here for high-protein, here for 2-ingredient pancakes, and here for vegan! Please that the nutritonal information supplied is for one small pancake and includes flaxseed.